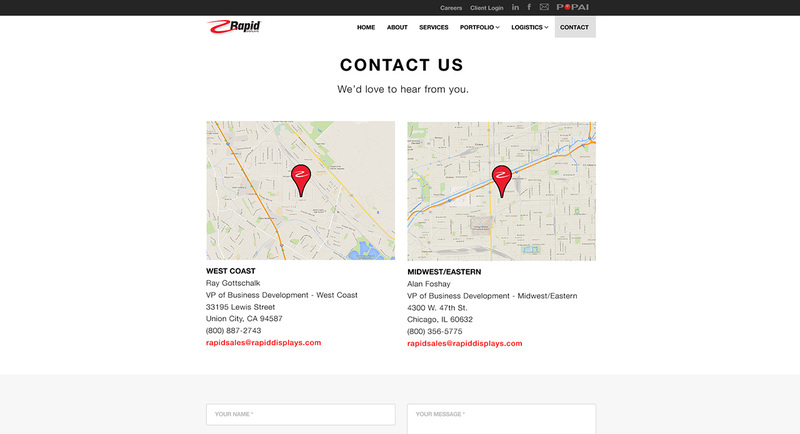 I worked closely with my client to create a responsive website that we both wanted. 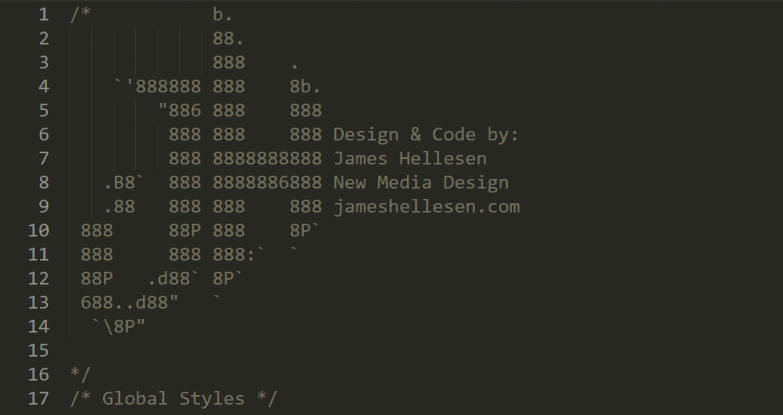 I was the only designer and developer working on the project. 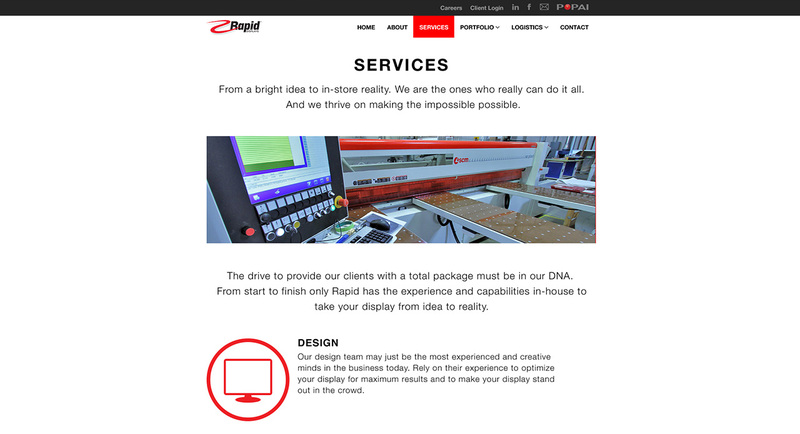 I used the latest web technology to create a fresh new fully responsive website in just a couple of months. Being there for the entire process, presenting my designs, getting approval and executing the code is something I greatly enjoy doing. This is a small, mostly informational website and I worked quickly and efficiently being the only designer and developer. 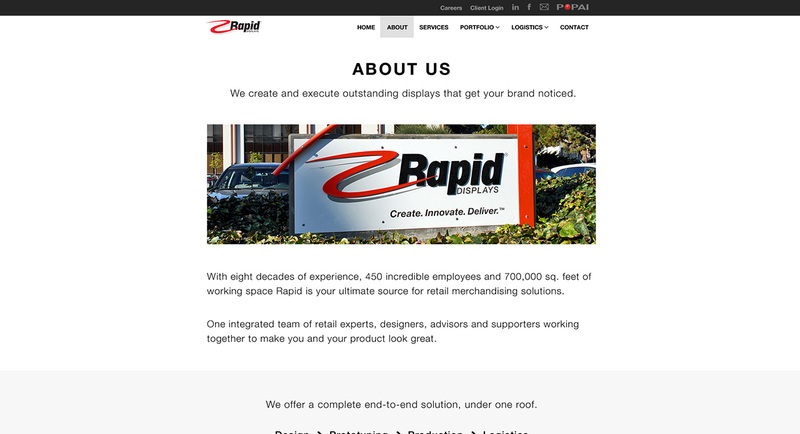 Rapid Displays had an outdated website that was not responsive and looked like something from the 90s. 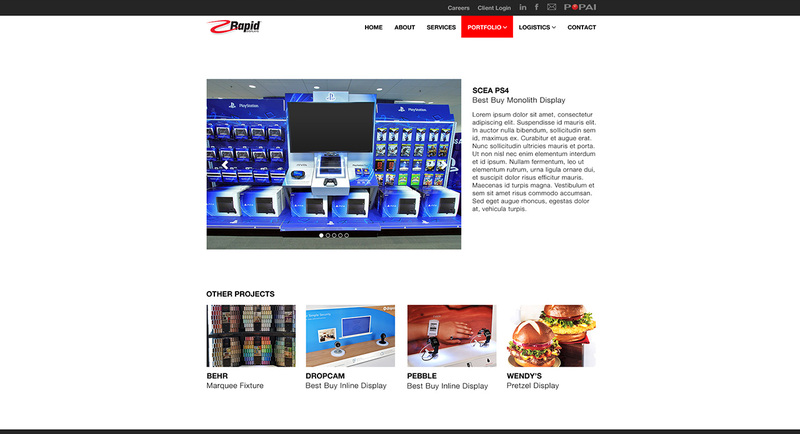 A brand new website with a modern design that looks great on any screen size and elegantly presents all the different point of purchase displays the company produces. 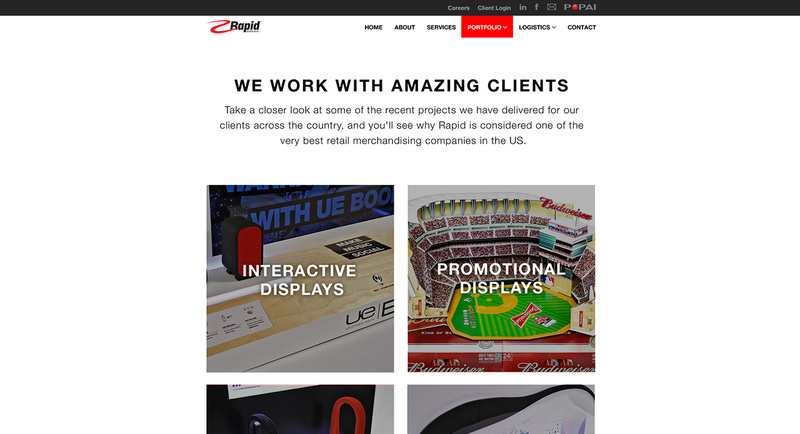 I started things off by taking a tour of the company and seeing the full production in motion while taking a mental inventory of all the cool end products that Rapid Display's makes. 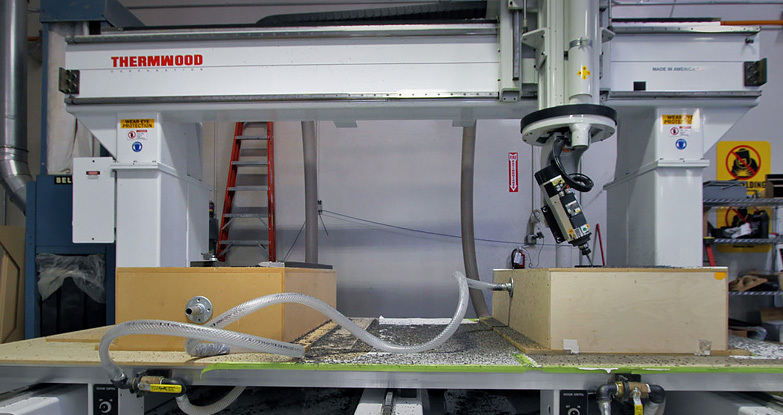 I become familiar with what their capabilities are and what they can do. I researched the competition's websites and looked at different eye-catching portfolio style websites. 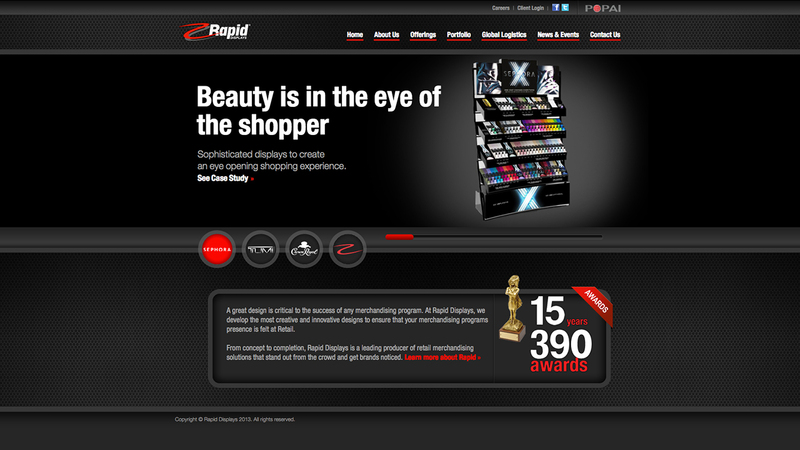 Rapid's biggest problem on the previous website was the lack of presentation and information. Based off my research findings, I created several mock up designs of the homepage and presented the options to my client. We then discussed the options and chose one of the options to move forward with. 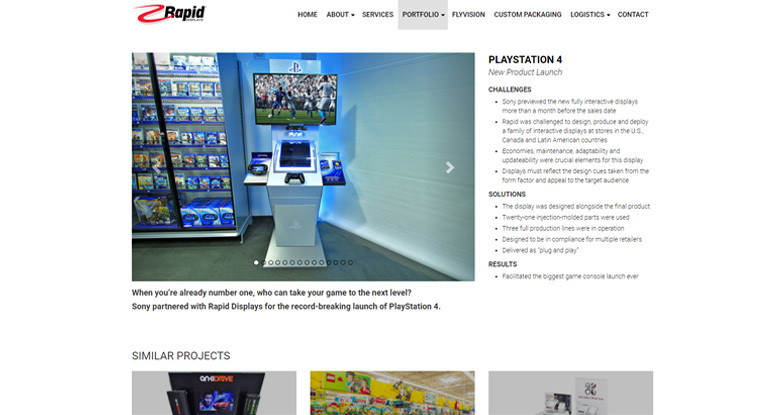 I wanted the Rapid Displays site to have detailed portfolio item pages that can show lots of images in a image slider and show plenty of comprehensive project information. Each project details a series of challenges, solutions and results that users can explore with quick access to similar projects. Making responsive websites from the ground up provides plenty of challenges and overcoming these challenges is an incredibly rewarding process. Websites are an important part of any brand. There's a huge problem when your website looks outdated and people come to your site and leave frustrated just finding simple information. 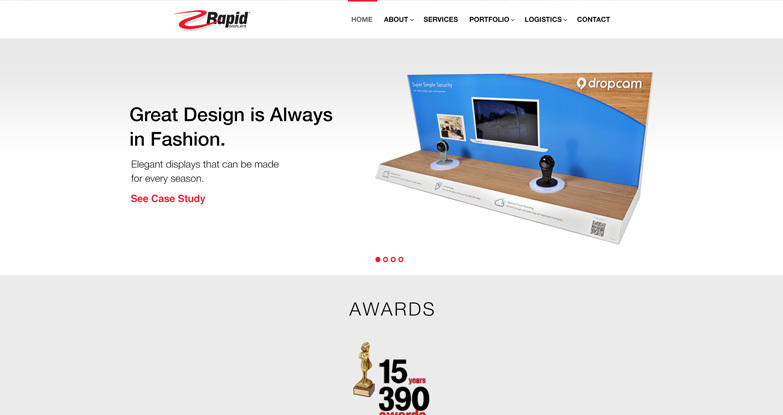 Rapid Display's new site now looks new and fresh and they can compete better in the internet space with their competition. 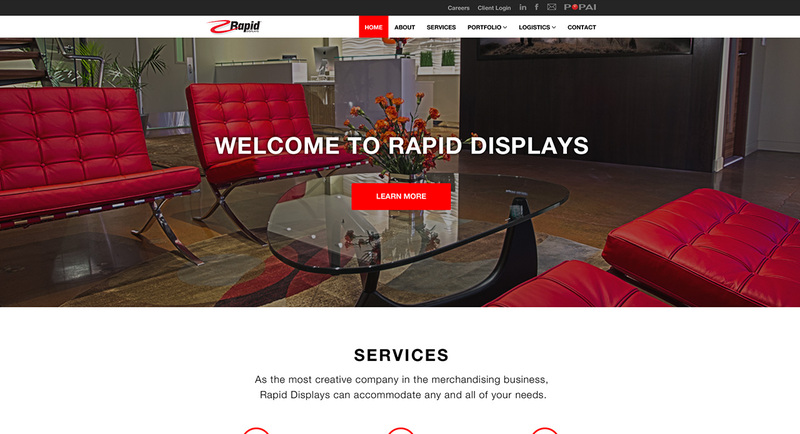 People can come to the site and instantly see and understand what it is Rapid Displays does. User interactions were one of the more challenging aspects of this project. We looked at more websites for inspiration and decided on using subtle effects on user hovers that have a quick and smooth transition. I overcame my challenges by exploring and presenting my client with different potential options. 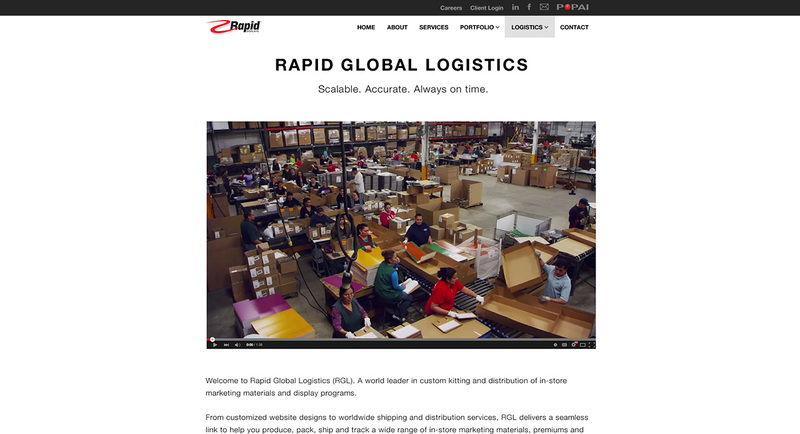 I packaging up all my files and sent them off to the webmaster at Rapid Displays in Chicago. I also made a series of how-to videos where I explained and show how to update and add projects to the website. This was a big project for me and I learned quite a bit from it. Working with my client and having plenty of ideas in my back pocket ready to go when things go wrong during a presentation was key. I was also my own manager and could prioritise certain time consuming features and communicate with my client on what content is needed next for things to keep running smoothly and successfully.